in the capital of St Lucia. 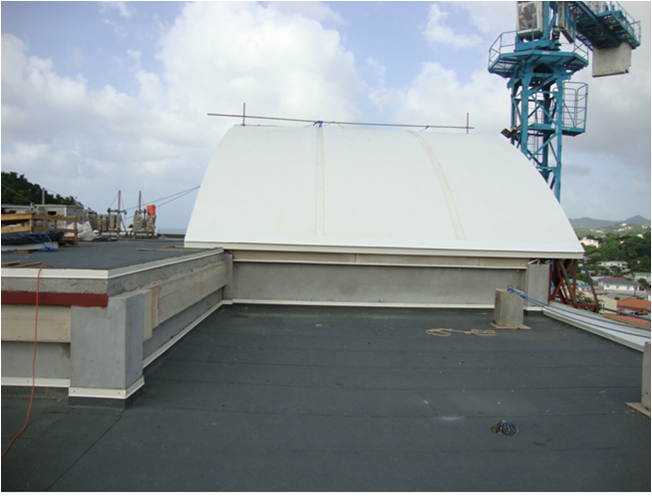 The scope of works included for several different generic Roof Waterproofing Systems on different building areas. To enhance the aesthetic of the building’s architectural Round dome feature, a white Carlisle Sure-Weld TPO roof membrane was fully adhered to a Densdeck Coverboard and HPH Polyisocyanurate Board Insulation both mechanically fixed onto a structural metal roof deck. To the exposed roof areas an Index 2 Ply Argo APP Polymer Modified Bitumen roof membrane was fully adhered to the structural concrete deck. 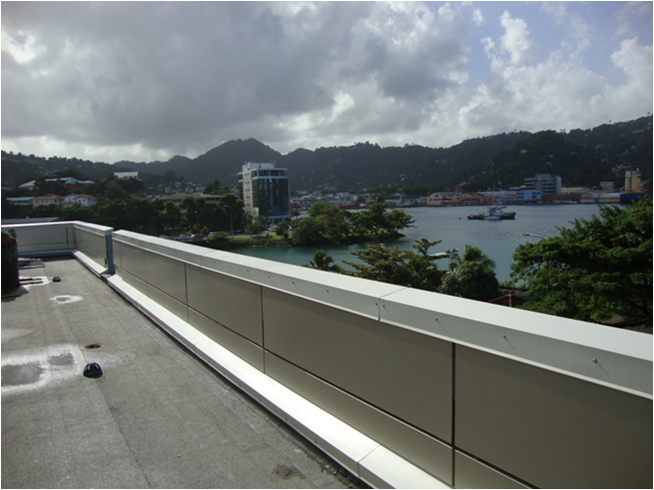 Two roof level terraces with limited drainage grades, were successfully waterproofed with CCW’s 500 R 215 Mil thick Reinforced Rubberised Asphalt Membrane. satisfaction of our client. A ten (10) year System Warranty was issued ensuring the waterproofing performance of our material and workmanship.